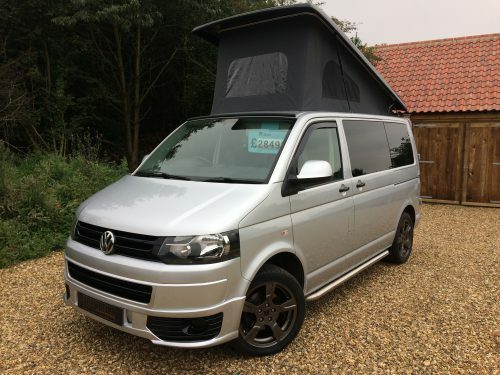 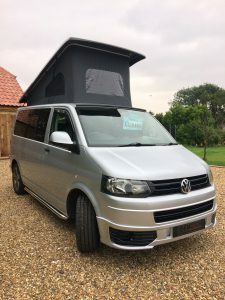 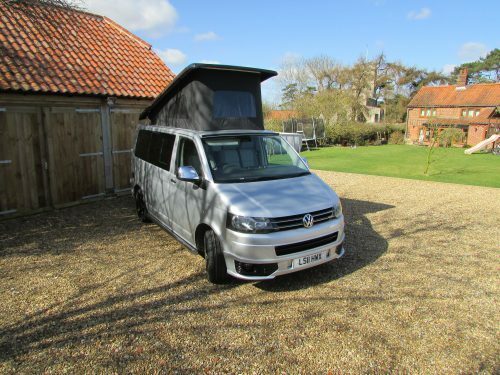 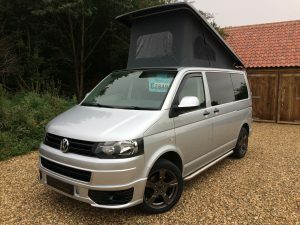 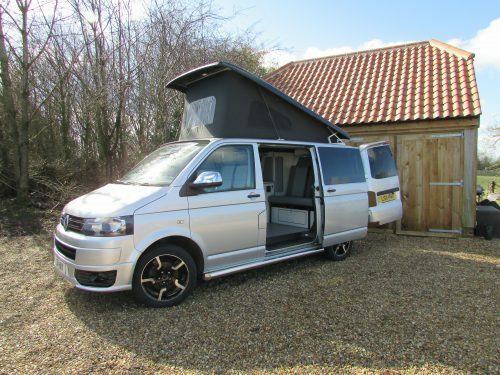 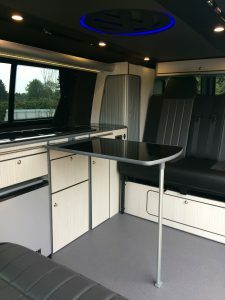 The base van is T28 102bhp model with electric pack in Reflex Silver. 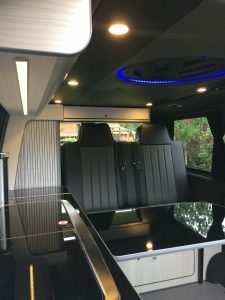 The van was supplied to us by a local painter and decorator and has been well looked after. 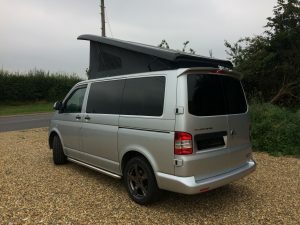 The previous owner also had a fuel economy re-map resulting in 168bhp with graphs included and over 40mpg. 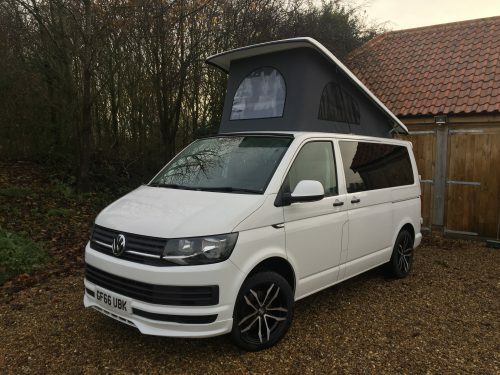 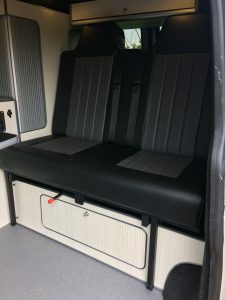 As with all of our conversions, this camper will come with all the relevant certificates for gas, electric and addition seating. 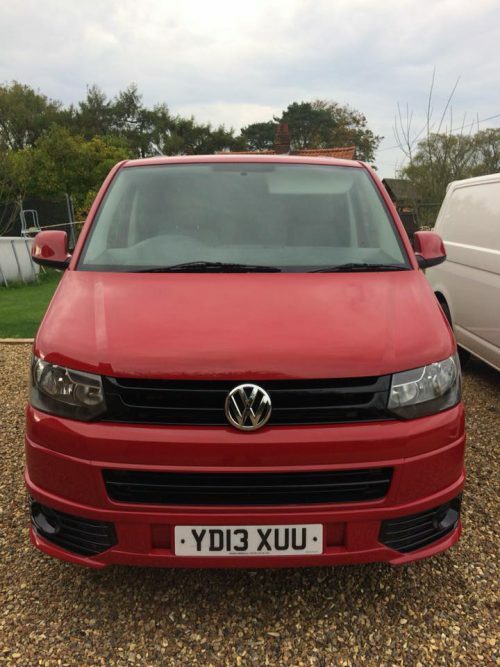 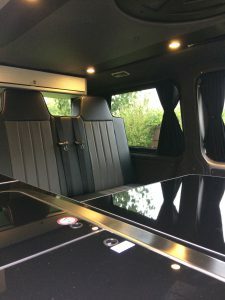 Over the last 3 months it has undergone a full and comprehensive conversion in our workshop, both internally and externally with all work carried out to a high standard. 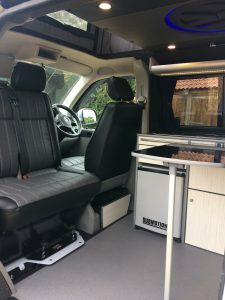 – Evo design lightweight kitchen units in hacienda white with gloss black surfaces, tambour doors, light bar shelf, rear overhead locker and recess shelves. 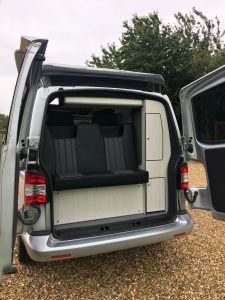 This set up offers lots of storage and uses every possible inch of space. 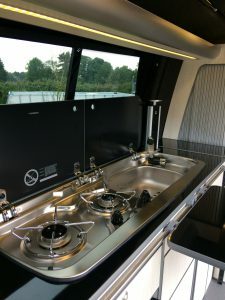 – Smev 9222 twin burner hob with sink, micro switched tap, onboard water tank and a sealed gas locker.– Gas and electric system fully certified with certificates provided This is a stunning van that has been converted with no expense spared, the pictures really don’t do it justice. 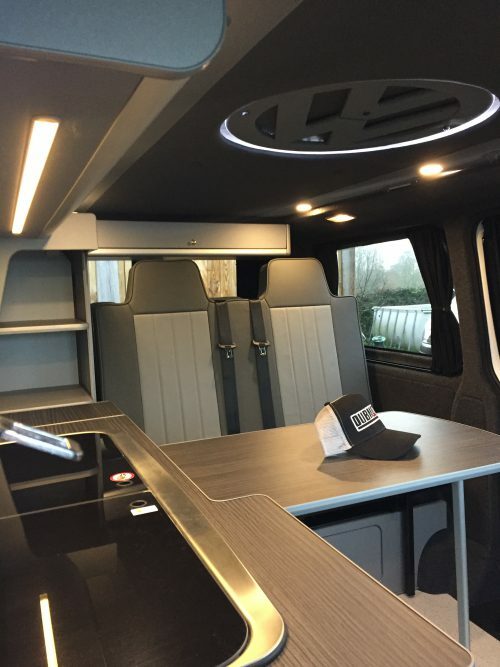 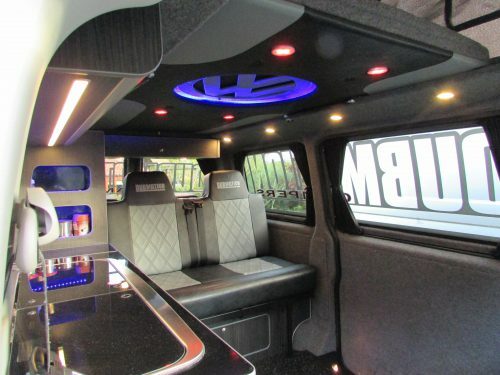 We can also convert the interior of your van to this specification with colours of your choice. 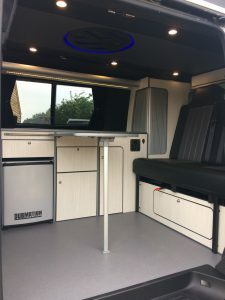 Further options can be added or removed in order to meets your specific requirements. 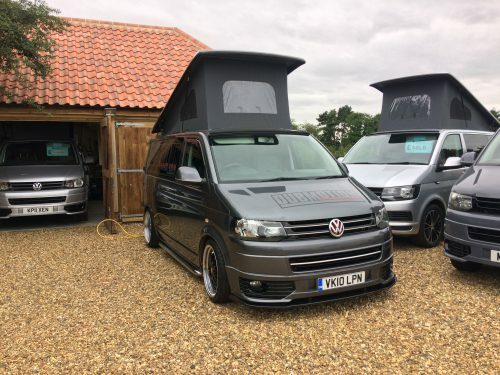 We are a small family company who take pride in what we do. 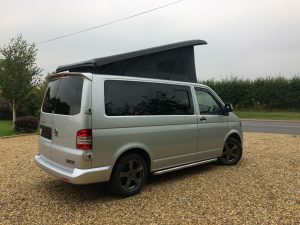 Feel free to check out our website dubmotioncampers.co.uk or search for our page on Face book to see more examples of our work.